Garrett GTI 2500 Finds 1847 Half Dime! 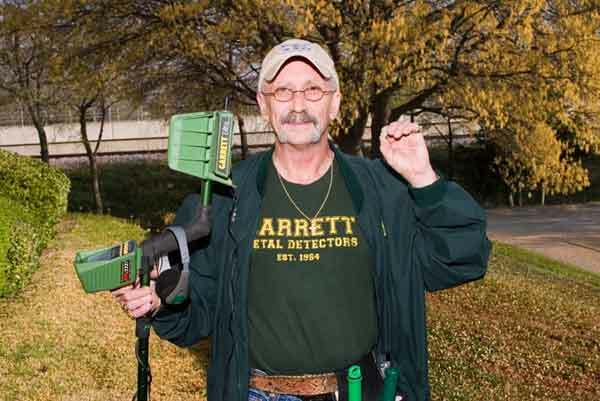 Joe Wilson of Dallas has been hunting with his Garrett GTI 2500 for more than eight years. He took advantage of a factory modification which turned his detector into a virtual GTI 2500. He has made countless discoveries, including an expensive diamond ring and a valuable gold bracelet. His most recent discovery is of slightly less monetary value but of much greater historic value. 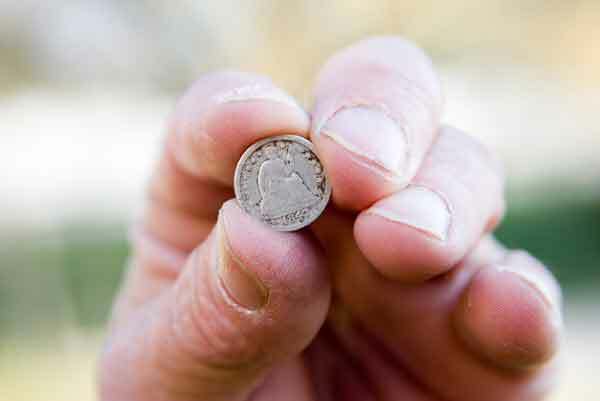 Joe was hunting with the Golden Triangle Explorers Society south of the Dallas area when he found a rare coin.